Both of these questions are about the same thing: how best to take water with you when you run, so we’ll try to provide some answers for you in this Questions section! Remember, you can leave a comment below with your own tips – help the running community with your knowledge hard-won – and you may also like to ask a question of your own by Tweeting @Racecalendarcom or leaving a comment on our I Love Running Facebook page (Facebook.com/runningfans). Firstly – Do You Really Need to Take Water on Your Run? Before you get into carrying devices, ask yourself this: do you really need to take water with you on your run? Assuming you are properly hydrated during the day (i.e. before you set off), then chances are you won’t need to top-up during your run. As a rule of thumb, unless you are running for more than 45 minutes to an hour (we use an hour as the cut-off point) then its not likely you’ll need to take on additional water during your run. Be sensible, though, as hot conditions or anything likely to increase the amount of water you lose (such as wearing warm layers in the cold) during your run will change this. On particularly hot days, for example, it can be more comfortable to have some water with you to wet your mouth, even if strictly speaking it won’t make much of a difference in hydration terms. I’ve Decided to Take Some Water – How Will I Be Drinking It? Once you’ve decided to take some water with you, have a think about how you’ll be drinking it. Will you have a break – stop for water – or will you be sipping as you go. If you plan to stop for water, you have more options for comfortable drinking, including taking a rucksack with you (a favourite of ours on long summer runs – planning a scenic water stop (at the top of a big hill) as something of a reward!). Alternatively, if you’re going to be drinking as you go, then you’ll probably be best with some form of sports cap or other on-the-move delivery device which will avoid spillage (remember those race day plastic cups which can tend to go a little bit all over you!). I’m Going to Be Drinking On The Move – What Are My Options? 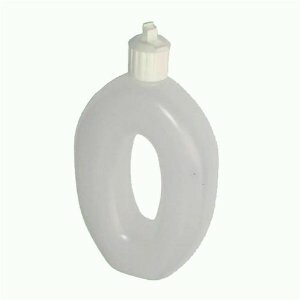 A lot of the water bottle manufacturers produce bottles with sports closures now. Did you know, you can keep the bottle and refill it. This is what a lot of us runners do, and it works for us! This is what we tend to take on a hot summer run if we do carry water. These bottles are designed to be easier to carry with you on your run. Some runners like to take two bottles for balance, though this is just a personal preference we have heard about. 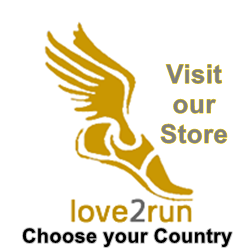 You can find runners water bottles in all good sports shops and running retailers, we found lots on Amazon (links below) when we had a browse. Your choice is a trade-off between weight of bottle versus the amount of water you need to take. 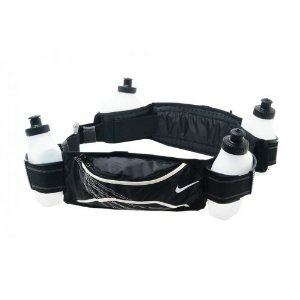 Another way to carry your water bottles is using a water belt (which often come with specially designed water bottles which clip or otherwise fit in). These devices look a little like the early 1990s waist packs that were once everywhere (think Mr Motivator for those of you who watched UK morning TV! ), but can be helpful for keeping your hands free while providing easy access to water on the run. If you’re going to be running a long way, then you most likely will need to replenish your water levels as you go. If you’ll be carrying more than, say, 500ml of water (such as for an ultra run) then the most comfortable way to carry this water is on your back, camel-like (yes, I know camels don’t carry water in their humps! 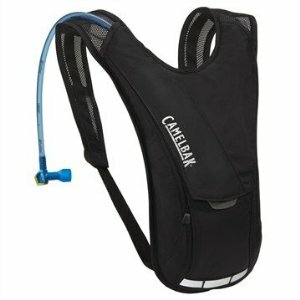 ), using a water carrying backpack, such as a Camelbak. These devices come with an inherent, clever, straw which allows you to get water easily as you go, by sucking, but don’t spill everywhere when you’re not trying to drink. They really are the best solution if you’re carrying more than a small amount of water, and you plan on sipping as you go! The backpacks can also carry other things that you’ll likely sometimes take with you, like a mobile phone (for safety), your keys (for getting back into your house! ), some money (if you’re going a long way, you might want to buy something! ), and a waterproof jacket (if you live in a wet country like we do – the UK!!) and such-like. How Do You Do Water on the Move? How do you do it? Do you take water with you on your run, and how? Or do you wait until you return home to have a well-earned drink? Leave a comment below. 1 comment to What is the Best Way to Carry Water When Running? The Joseph Pearce Jogging Group in Leith used to stop at Sofi’s bar, halfway round the usual route, for complimentary Lingonberry juice.